Automatic metallography specimen mounting press is a kind of full automatic mounting press, equipped with in-out water cooling system. It is suitable for the heat mounting (thermo hardening thermoplastic) for all kinds of materials. After the parameters such as heating temperature, heat preserving time and applied force etc. are set up, put the specimen and mounting material into the machine, close the cover and press the start button, then the machine will finish the job automatically. It is not necessary for the operator to be on duty. According to different requirements of the material, there are four kinds of moulds that can be chosen to meet the demands at will. Also it is available to prepare two pieces of specimens at the same time, the capacity is doubled. 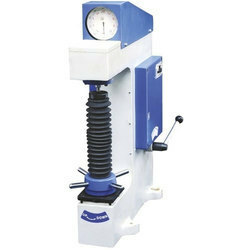 The Hardness Testers have been designed and manufactured strictly conforming to IS. BS, ASTM, ISO and DIN Standards. 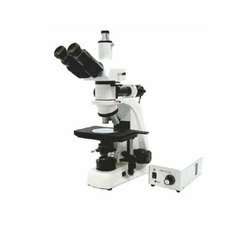 Since 1966 for most exacting test requirements in the Laboratories and Workshops etc. These testers are designed and manufactured for measuring hardness of metals and alloys of all types, hard or soft, flat, round, tubular or irregular in shape. The testers are simple in design, easy to operate, yet very reliable and accurate. ZI 7003A: With automatic zero setting dial guage and manual load selection. ZI 7003C: With automatic zero setting dial gauge device and automatic to ad selection. Brinell Hardness Testing facility according to 30 F/D² ratio, with 187.5 kgf load and 2.5 mm dia ball indenter. ZI7003D: Similar to ZI 7003C, but with additional test Load of 250 kgf and 5mm dia ball indenter for, testing Brinell hardness of non-ferrous metals according to 10F/D ratio. 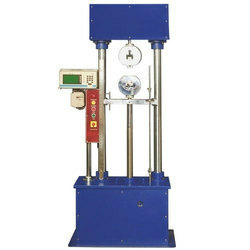 Designed for conducting charpy, 1Z0D and impact tension Tests. The test methods confirm to IS 1757-1961, IS 1499-1959 and BS131 Part 2 % 3, IS 1598-1960, BS 131 (Part 1)and ASTM E 32-47T. The impact energy absorbed by the specimen during rupture is measured as the difference between the height of drop before rupture and the height of rise after rupture of the test specimen and is read on the dial scale. Floor mounted, vertical type, two column construction specially manufactured for various applications. 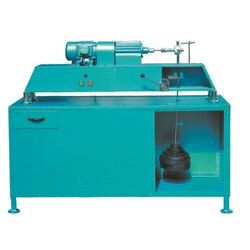 Tensile Testing Machines are designed for determining the Tensile Strength and Elongation of a host of materials like ferrous and non ferrous materials, cables conductors, Plastic, PVC, Rubber specimens, paper, plywood etc. Our Tensile Testing Machines are also capable for conducting compression, Cross breaking and Shear tests thus making them more versatile with a few additional attachments. 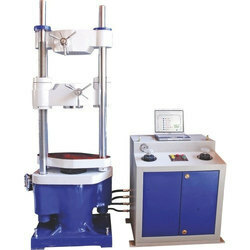 Tensile Testing Machines are available in various capacities depending upon the requirements right from 5 kgf to 10 Tonnes ensuring ± 1accuracy in test results. We assure high accuracy, sensitivity, reliability, consistency, repeatability and excellent workmanship. 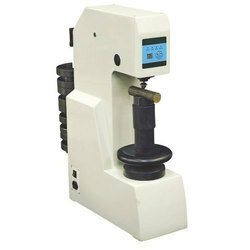 Tensile Testing Machines are backed up by prompt and effective after service by a team of factory trained technicians. 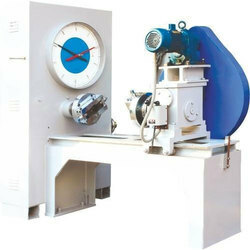 Our machines are available in KGF/ kN/N as per your specific requirements. Tensile Testing Machines are also available with State of Art Electronic Microprocessor based Digital Indicator systems with PC and Printer. Horizontal Models and Computerized versions are also in our range of production. Stand: Sturdy and Durable pressure Die cast Aluminium stand. Mechanical Stage: Co-Axial low drive double plate mechanism system travel on ball bearing guide ways. Focusing System: Co-axial coarse fine mechanism system with ball bearing guide ways. Epi-Illumination: Built in base 12V-50W Halogen lamp with light intensity control system. Quadruple Nose Piece: A precision mechanism ensures the accuracy and optical alignment of the system. DIN-LWD Objectives: M4 x M10x, M20x M40x (SL). 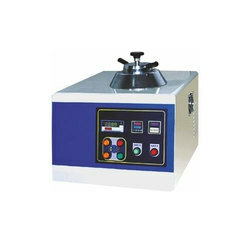 This is double disc polishing machine for metallographic samples. Two independent polishing units is mounted on a common MS frame, other specification as per single disc. This Machine is portable model for polishing of metallographic sample. Disc dia 200 mm made of Aluminum. 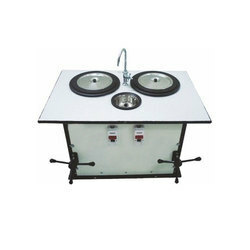 Provided with sink and swing type laboratory water tap. Water proof Formica table top. It is designed for conducting Torsion and Twist Tests on various metal wires, tubes sheet materials. Torque measurement is by Pendulum dynamometer System. Torque ranges can be adjusted. Torque is applied to specimen by geared motor through gear box. Autographic recorder can be provided to know the relation between torque and angle of twist on specific request. The Accuracy of the torque indication is ± 1% of the true torque. The complete system is hydraulically damped for vibration free Loading. The machine is designed with a Hydraulic Power pack and control circuit for effortless loading unloading operation. A dial gauge in front measures depth of ball penetration. This facilitates production testing within tolerance limits by comparison method. Testing Table 200 mm ø 1 pc. For round jobs-l0 to 80 mm dia 1 pc. Ball holder 5 mm 1 pc. Ball holder l0 mm 1 pc. Test Block HB-5/750 1 pc. Test Block HB-l0/3000 1 pc. 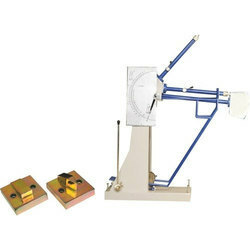 Looking for Steel Testing Equipment ?